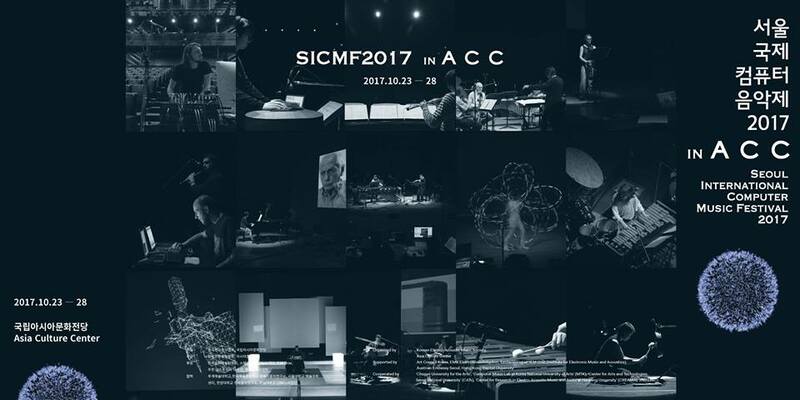 “Visions of the Void II” for piano and electronic (fixed media, two channels) will be performed again, this time at the Seoul International Computer Music Festival SICMF 2017 in South Korea. 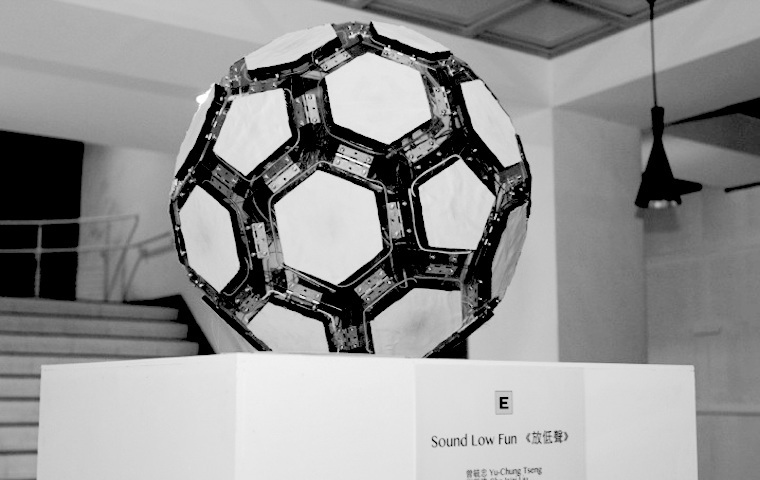 The KEAMS (Korea Electro-Acoustic Music Society) organizes this festival yearly. The edition of this year will take place in the Asia Culture Center (ACC), an international arts and cultural exchange organization located in the city of Gwangju, the sixth largest city of South Korea situated in the south of the country. It will be a 6 day festival in this awesome place in Gwangju. Eun Young Son will perform my work the next October 26th, 2017 (7:30 PM) in the 7th concert of the festival at the Theater 2, ACC Theater. Eun Young graduated (KA, KE) from the Hochschule für Musik “Carl Maria von Weber” in Dresden (Germany). She has won several international awards like the American Protege (1st) or the IBLA Grand Prize (3rd). Her career has taken an international course with performances at international venues like the Carnegie Hall (New York), the Smetana Hall (Czech Republic) or the Nanyang Technological University (Singapore). She is also the author of the book “Music Education for Early Childhood”. Nowadays she is lecturer at the Chongshin University in Seoul (South Korea). 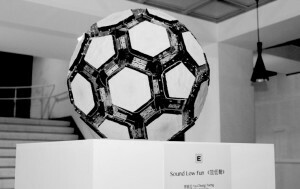 The Seoul International Computer Music Festival (SICMF) is one of the biggest electro-acoustic music festivals in Asia, and also internationally well-known. 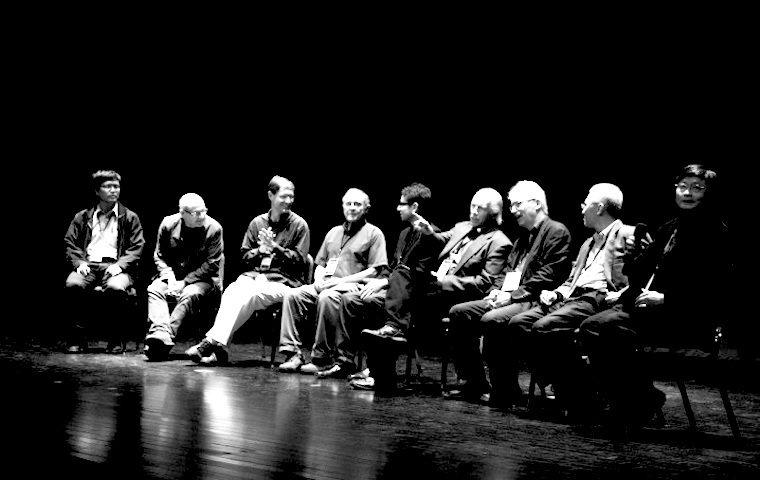 Many kinds of ongoing research activities including electro-acoustic music, new electronic instruments and multimedia-based works have been presented annually since 1994. We have invited special composers or performers for the festival such as, Meta Duo, GRAME, INA-GRM, CCRMA, Ensemble Aventure, DEGEM. The next September 30th, 2017 (8:00 PM, DEGEM Konzert ), my work “Visions of the Void II” for piano and electronic (two channels) will be performed at the Festival KONTAKTE ’17 – Biennale für Elektroakustische Musik und Klangkunst, which will be held at the Akademie der Künste am Hanseatenweg in Berlin (Germany) from September 28th to October 1st. 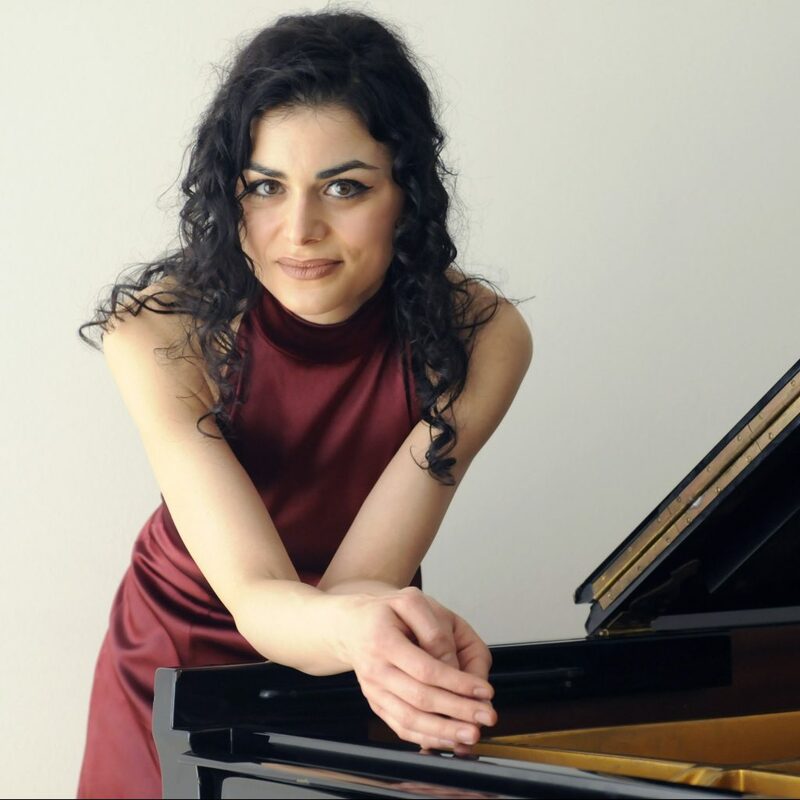 Mirjana Rajić (Belgrad, Dresden) will be the performer on the piano. She was born in Belgrade and studied in Belgrade, Munich, Weimar and later in Imola (Italy), working with Lazar Berman. Mirjana Rajić finished her studies in Dresden. She has won several prizes, among others first prize at the piano competition in Munich 1997, special prize at the international piano competition in San Remo/Italy in 2000 and the INTRO-klassisk competition in Bergen (Norway) in 2002. Mirjana Rajić is playing in Recitals, as soloist with orchestras and as a chamber music partner in Europe, USA and Asia. Her CD-Albums have been released by several labels. The Festival KONTAKTE ’17 – Biennale für Elektroakustische Musik und Klangkunst is going to be four days full with concerts, sound installations, artist talks and workshops in the Akademie der Künste at the Hanseatenweg. The festival will held its second edition with 28 premieres and more than 100 artists from 27 nations and it’s going to be a focal point for electro-acoustic music and sound art in Berlin. 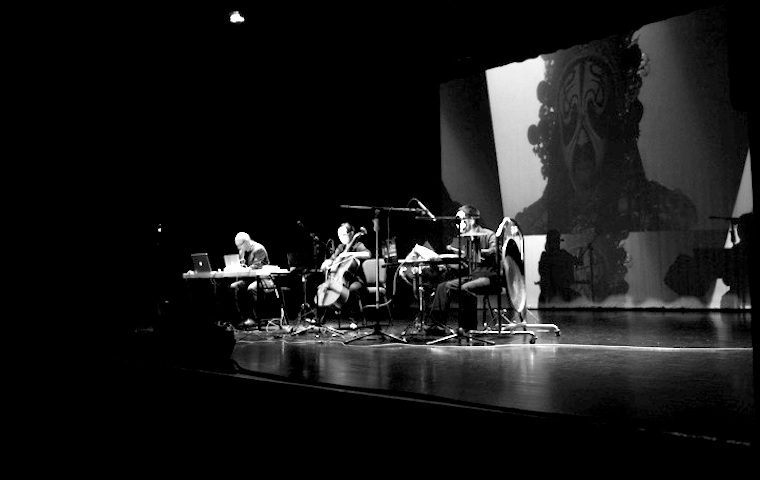 The DEGEM (Deutsche Gesellschaft für Elektroakustische Musik) will have his own concert at the Festival with works by Karl Gerber, Thomas Gerwin, Rainer Brueck, Hanna Hartman, Jorge García del Valle Méndez and Max Joy. This works were selected this year by the German Society for Electroacoustic Music. “Visions of the Void II” is a double sided reality (the real and the virtual one) wired together by the compositional structure, which increases their mutual interaction. They constitute an interactive joint: both parts act and react with reciprocal responses giving the impulse to keep moving. The real part is the piano, which it’s alive and walks a given path, exploring the unknown darkness. The virtual part is the electronic, which leads the process and creates an imaginary space within real space where the live component is moving. Both realities are interacting: the piano receives the impulses of the electronic and reacts to it whereas the electronic will change the way we perceive it through the performance of the piano. The concert will take place on September 30th, 2017 (8:00 PM – 9:45 PM), at the Großes Parkett in the Akademie der Künste, Hanseatenweg 10, Berlin. Do not hesitate to come if you happen to be in Berlin. The concert is worth a visit! NYCEMF in June and SICMF in October. More news about these two events coming soon! 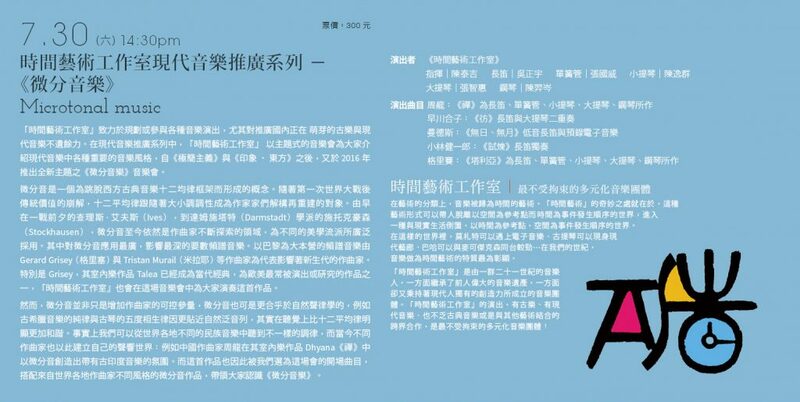 The next Saturday, Wu Cheng Yu will perform my work “no sun, no moon” for bass flute and electronic (fixed media) in a concert with the TimeArt Studio. This is a very young ensemble which is performing educational concerts most of all in the field of contemporary music. The goal of TimeArt Studio is to encourage the contact between composers and young interpreters. Do not miss it if you’re going to be around in Taipei! 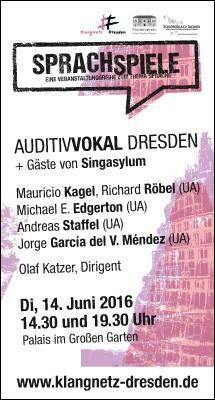 This coming Tuesday June 14th, 2016, AuditivVokal Dresden will perform an early work of mine in a new version: “Du, Deiner, Dich, Dir” for speaker and electronics (fixed media, 4-channel). The concert will be performed two times, so you have two opportunities to join us! In the Palais im Großen Garten – Dresden takes place the concert series “OFFENES PALAIS – MUSIK UND KUNST IM GROSSEN GARTEN”. AuditivVokal Dresden will perform here the concert “MENSCHEN-SPRACHEN-MUSIK”. 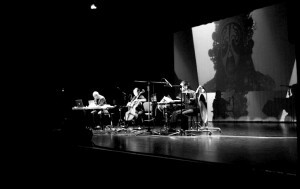 This concert is about the language taken from the point of view of its musical sense, as well as about the ineffability of the musical discourse. Language considered as a material structure. My work “Du, Deiner, Dich, Dir” is based on the dadaist poem “An Anna Blume” by Kurt Schwitters. I attempted to capture the naive atmosphere of the poem from a dramatic perspective. This poem written in 1919 fluctuates constantly between a humorous, low-level naivety and looseness of the formulations and on the other hand a high drama. This dualism between the two concepts (the drama as an inner feeling and the naivety) is the premise of my work. This work was originally conceived for a soloist vocal ensemble and electronic: commissioned by the Ensemble vocal modern for the Dresdner Tage der Zeitgenossische Musik 2002, this Version was never premiered due to flooding that affected Dresden at that time. 2003 I made a new version only for 4-channel electronic for the “next generation” Festival des Zentrums für Kunst und Medientechnologie Karlsruhe (ZKM). This version is the basis of the new revision commissioned by AuditivVokal Dresden. For this new interpretation of the work I took the speaker’s voice away from the electronic. This spoken part will be performed live by Cornelius Uhle, member of the Ensemble AuditivVokal Dresden. Looking forward to hear this new interpretation from AuditivVokal Dresden, and of course to meet you in one of the two concerts! 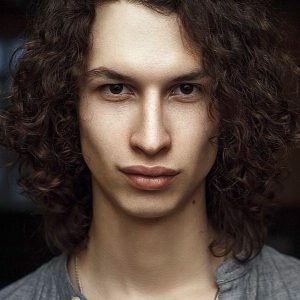 Alexander Sidoruk will perform my work first the 10th June at the Lange nacht der Wissenschaften in the Hochschule für Musik “Carl Maria von Weber” (20:00 and 22:00) and then the 30th June again in the Concert from Studio für Elektronische Musik. Both concerts will take place at the Hochschule für Musik in Dresden. Aufführungen von Werken für Soloinstrumente von Studierenden der Kompositionsklassen der HfM Dresden mit jungen Solisten der Flötenklasse. Mit Einführungen und Kommentaren der jungen Komponistinnen und Komponisten. Werke u.a. 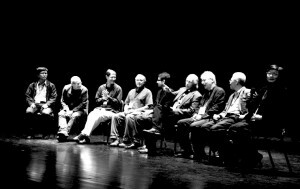 von Barblina Meierhans, Yukari Misawa, Magdalena Zimmermann, Alberto Arroyo, Pouria Egdami, Shen Hou, Nicolas Kuhn, Po Wei Tsang, Chongang Zhang und Jorge García del Valle Méndez. Einmal pro Semester stellen die Studierenden der Kompositionsabteilung neue Werke vor, die aus der Arbeit im Studio für Elektronische Musik entstanden sind. Nico Sauer: Kammermusik 14000 (Fixed Media, Stereo), Alberto Arroyo: „Noch kein Titel“ (Flöte und Live-Elektronik), Jorge Garcia del Valle Mendez: “no sun, no moon” (Bassflöte und Live-Elektronik), Kaj Duncan David: „AND REA – ein Kurzperformance“ (Laptop Performance), Lorenzo Senni: „XMonsterX“ (Laptop Performance). Gianni Trovalusci will perform again my work “no sun, no moon” for bass flute and electronic (fixed media), this time at the Chapman University in Orange (South California) in the New Horizons Concert Series, which features performances by six leading contemporary music soloists and ensembles. The concert will be the next Thursday, March 3rd, 2016 (8:00 pm), at the Salmon Recital Hall in the Chapman University. “Starting from the fifties and sixties of last century, the flute became an important medium in the field of Contemporary Music, taking part of a musical revolution destined to change composition and interpretation and the very idea of the musical language. 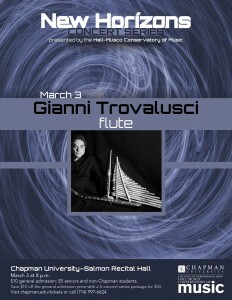 Italian flutist Gianni Trovalusci in this recital will present an exciting selection of contemporary music for flute with live electronics from Italy and other countries. Music by Walter Branchi, Jorge García Del Valle Méndez, Paolo Rotili, Kaija Saariaho, and faculty member Dominique Schafer. Presented as part of the “New Horizons Concert Series,” and is presented in collaboration with the Italian Cultural Institute, Los Angeles (IICLA)”. My work “no sun, no moon” explores the duality of the combination acoustic instrument-electronic. 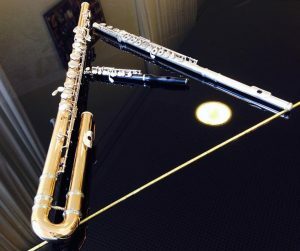 In this work the bass flute and the electronics are two worlds, reality and parallel reality, two sides of the mirror. Both are the same thing and simultaneously its opposite, interacting and reacting one another. Do not miss the performance of Gianni in this concert if you’re going to be around! creativity of playing different types of flutes for a wide variety of music styles and is specialized in contemporary music. WOCMAT, established in 2005 at National Taiwan University, has been hosted annually by music, computer science or engineering departments/schools at various universities in Taiwan, and has gathered international researchers, scholars and renowned guests from both the music and technology domains. This year many world-renowned scholars are invited to present their recent findings in music and audio research, the guests include Prof. Hans Tutschku from Harvard Univrrsity, Prof. Daniel Teruggi from Institut National de l’Audiovisuel, Bry sur Marne, France, Prof. Jongwoo Yim from CREAMA at Hanyang University Korea, and former IRCAM researcher Alexis Baskind from the Hochschule für Musik Detmold in Germany, etc. 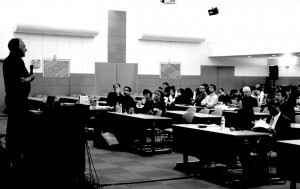 The workshop will consist of guest lectures, paper presentations, and music performances. Especially for this year, it will include sound installation, music and technologies exhibitions, as well. It’s going to be a really interesting Workshop. 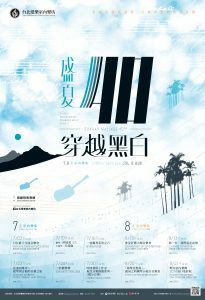 Do not hesitate to go if you are going to be in Taiwan! Aeolian Progression is a duo formed by the flutist Karin de Fleyt and the composer David Ibbett, and they will be touring the UK and Belgium this November for a series of performances and lectures. This Tour will include my work “no sun, no moon” for bass flute and electronic. “no sun, no moon” will be performed 13 November 2015 in Bristol (UK) at the University of Bristol, followed by a Masterclass for Bristol’s composers and performers, and 19 November 2015 at the Logos Foundation in Ghent (Belgium). Also 19 November there will be a lecture recital at the Gent Conservatoire for composers and performers. 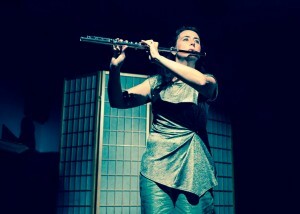 Formed in 2014, Aeolian Progression seeks to unlock new sounds, potentials and expressions for flute and electronics. Combining an extensive knowledge of modern flute repertoire with a unique fusion approach to electronic music, Aeolian Progression aspire to create works that embrace the fullest possible range of musical expression. Using the electronics as a ‘prism’ – the sound of the flute is refracted into diverse timbres, styles and textures which coalesce to create works of deep poetry and drama. Do not hesitate to go to the concerts if you are going to be around!